Moulin Rouge is pricey but very worth it. If your budget allows it then go for it. It is one of those things for us where we thought… “What the heck? !” at the time despite cringing at the price BUT then afterwards were so glad we did it. Lucky you to be going to Paris. After our time last year in Paris… we are totally in love with it. Totally agree with you. Just hoping Paris doesn’t disappoint. Off late have been hearing that Paris is just a marketing package done right. A fun poem that made me smile. Well done. 🙂 So sorry it rained. I’ve been to Paris many times, but I’ve never been to the show. I wanted to go the first time I went to Paris, but my girlfriends didn’t and it’s no fun going alone! After that, everytime I went to Paris. I got distracted by other things! Glad you enjoyed the poem 🙂 Well, if you ever get a chance, give it a go! We just thought “what the heck” & bought the tickets and were so pleasantly surprised! Well done! It sounds like you had an adventurous night. Pleased we got a chuckle from you 🙂 We were feeling creative after the show! It was crazy hard trying to rhyme! That was fun actually 😀 The verse, not your drenching! We did Moulin Rouge decades ago and loved it. But it isn’t really our kind of thing. So we haven’t returned on our more recent trips. Perhaps I should give it another go when we visit next. Well, we would probably have to agree that it is probably not something that we will see again in the near future. Maybe in a few decades time, if we happen to return to Paris and curious to see if and whether it has changed… we might. Tu et tres charmante…loved your poetry.I wonder if you got any sleep that night… writing poetry and keeping up with posts and comments. How do you do it all?! Thanks Jane! We are kept rather busy at the end of the day with posts and comments but it is great fun interacting with our blogger friends over the world so it’s easy 🙂 Hope you have been keeping well! You now have a new talent..poetry! Brilliant! Great job! Loved your poem……soooooo creative! We are actually ducking in and out of Paris! So not saturating ourselves with it. Thank you for your kind words about the poem. Thanks Mia! Rhyming is harder than we thought 🙂 Do get to the show if you are in Paris again! 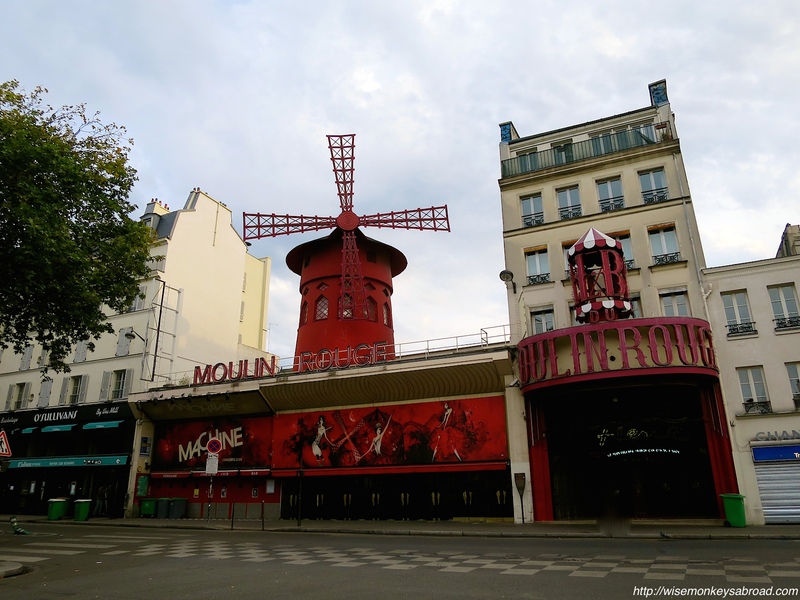 I’ve been lucky enough to have been to Paris twice and saw the show at Moulin Rouge…. I drank far too much champagne but it was a fabulous night out. Definitely a must see when in Paris! Thanks for your comment! It certainly is a fabulous night out!! Hope you had a lovely weekend! Huh. I didn’t realize the show was worth seeing. I’ve walked by the place on a couple visits but did nothing other than photograph the windmill! Good to know the show is fun to see! I definitely enjoyed your poetry! Very fun and descriptive! Thanks Mani! Your comment has us smiling 🙂 Hope you had a lovely weekend.